Item # 319411 Stash Points: 295 (?) This is the number of points you get in The Zumiez Stash for purchasing this item. Stash points are redeemable for exclusive rewards only available to Zumiez Stash members. To redeem your points check out the rewards catalog on thestash.zumiez.com. 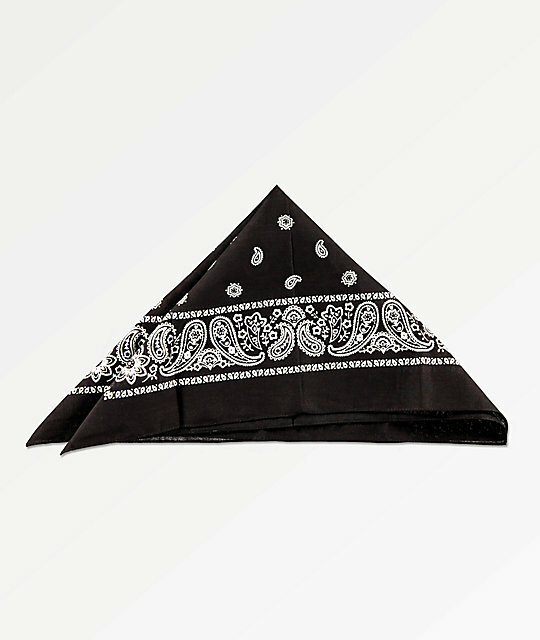 Rock the Paisley Black Bandana around your neck, as a facemask, or just use it as a hanky. The black construction with white paisley print offers a classic and timeless look. With so many ways to wear it, this pure cotton bandana is a versatile accessory that every wardrobe needs. Black with white paisley print throughout.